Hello, my name is Konstantin Zerdev, I am 26 years old MTT grinder. I’ve been playing poker professionally for 7 years now and I am a part of the BBZ Staking group for 5 years. 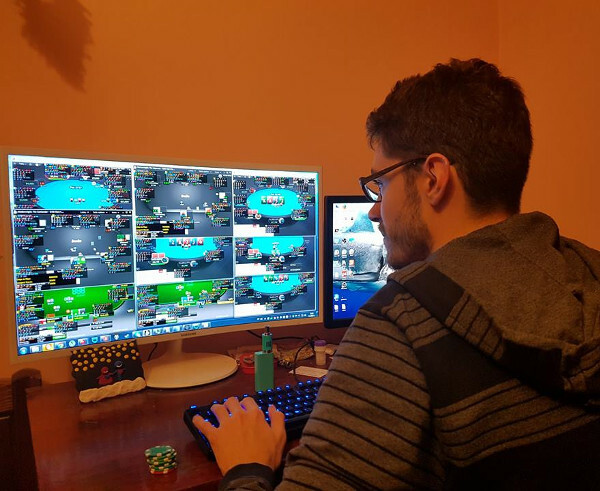 I am playing mainly MTT NL Hold’em and I have a ton of experience over the past years on everything ranging from 11$ to 215$ on PokerStars, Party, 888, WPN and Winamax networks (also Full Tilt in the past). I am working with a really large database of over 50 professional grinders and have really good expertise in the fields of bankroll management and game selection for different stakes, schedules and site access. I also work a lot with solvers, so I can provide great insight into GTO and how to exploit people who deviate from it in different manners. In case you are interested in my scores, you can check my Pocket 5s account or my Sharkscope scores here. I took up coaching late in 2016 and the people that got time with me made dramatic improvements over the course of a small time. I am working using Teamviewer and Skype + supplementary programs when spots need mathematical explanations or when deeper meta-game questions emerge.